All of the CNYO expenses are currently (and happily) paid for by the CNYO members, making sure we have everything we need to (1) promote our presence at CNY events and (2) educate and enlighten CNYO event attendees. As we’ve ramped up from assorted CNY sessions in 2013 to a more involved schedule with regular events around CNY in 2014, our budget has grown accordingly. If you exclude the keychains, our 2014 budget comes to $670/year. CNYO members enjoy bringing amateur astronomy to the public enough to cover the costs regardless. That said, if you wanted to lighten our load by helping offset some of our yearly expenses, we certainly won’t complain! Simply use the Paypal button below and donate whatever amount you like (CNYO is a real nickel + dime operation, so every little bit actually does help!). Also, we are happy to gratefully acknowledge your support on the site by adding you to our Donor List. 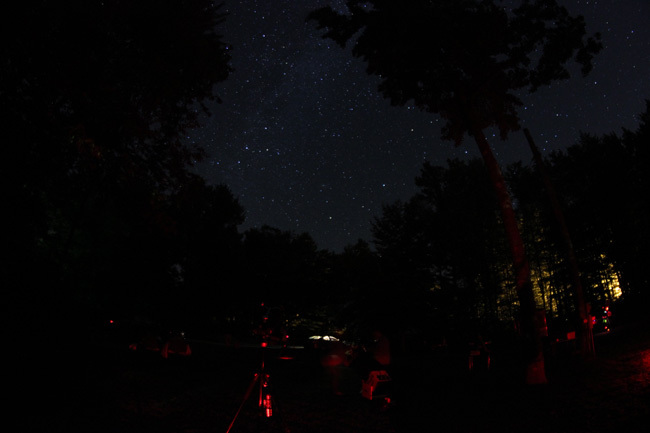 We want to bring a greater appreciation of the Night Sky to many more people – passing along the cnyo.org link to people you think might be interested in attending one of our sessions is the absolute best way you can support our effort! how do I sign up to become a member? I have a 8 inch newtonian refractor that is aching for some dark skies and the educational opportunity from Orion! Greetings Drew – email sent!